There is nothing better than soaking in the sun and the sounds of crashing waves to soothe a satisfied belly. Here&apos;s our round-up (in no particular order) of some of the best restaurants with ocean views in Monterey County. Monterey&apos;s most iconic and historic street is lined with eateries for every traveler and budget in mind. 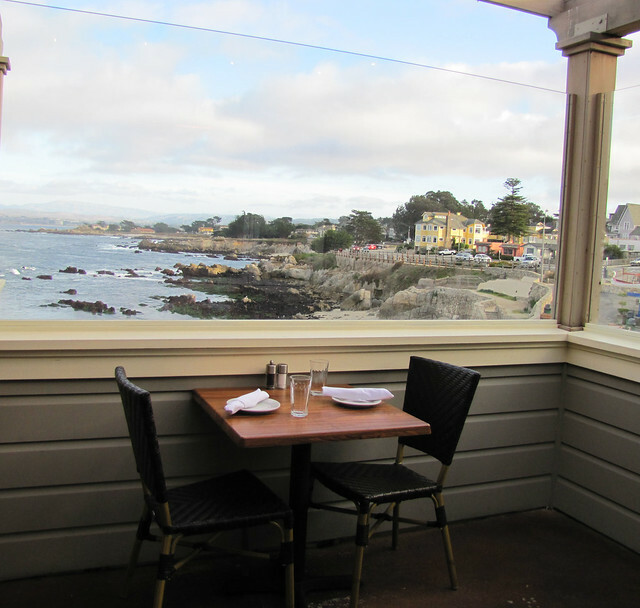 Patrons of each restaurant will be happy to hear that their meals come with a side of epic views of the Monterey Bay. Schooners Coastal Kitchen at the Monterey Plaza Hotel & Spa, The C Restaurant at The InterContinental The Clement Monterey, and the Restaurant at the Monterey Bay Aquarium all offer tasty sustainable seafood with scenes of speedy sailboats and colorful kayaks in the distance. Similar views can also be had at Bubba Gump Shrimp Company, the Fish Hopper and the Chart House. 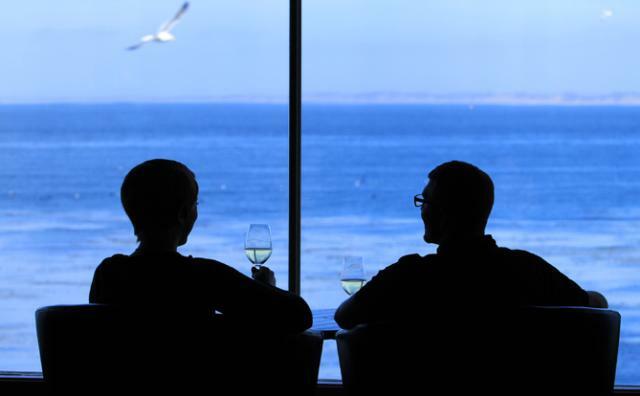 If it&apos;s drinks with a view you are looking for than A Taste of Monterey Wine Market & Bistro is your place. Not only will you find Monterey County wines and delicious small bites but the upstairs view is spectacular. If you are lucky you might even spot a pod of playful dolphins! Post Ranch Inn in Big Sur is a favorite among celebrities and locals for good reason. Its cliff-side location perched above the Pacific Ocean makes for the perfect setting for an unforgettable dining experience at their award-winning restaurant Sierra Mar. Located at the Sanctuary Beach Resort, Salt Wood Kitchen & Oysterette is known for their cured and wood-fired dishes, with a focus on seafood and their impeccable vistas of Marina State Beach. For a real treat head over during sunset and cozy up next to one of their outdoor fire pits to feel the ocean breeze. A trip to Pacific Grove is not complete without a dinner or a cocktail at the Beach House Restaurant at Lovers Point. The charming Victorian-era building is a welcomed staple and anchor to the Monterey Peninsula. Grab an inexpensive dinner fom their "Sunset Special" menu or stay late, grab a cocktail and gaze out at the twinkling lights in the distance. The Travel Channel named Nepenthe as having the "Best Bar Food" and Gayot named is as one of the "Top 10 Outdoor Dining Restaurants in the U.S;" sounds like the prefect combination right? The iconic Big Sur dining establishment is known for their melt in your mouth ambrosia burgers and their astonishing views of the Pacific Ocean just beyond their colorful umbrellas on the sun drenched terrace. Treebones Resort in Big Sur is known for pampering its guests with the ultimate in "glamping" and its onsite eatery, Wild Coast Restaurant and Sushi Bar does not disappoint with its posh cuisine or its views for that matter. Diners can choose to eat inside or opt for the outdoor sushi bar which both offer expansive views of the glistening ocean just below and fresh produce mainly sourced from their very own organic garden. Looking for Monterey classics like clam chowder, calamari and sand dabs served with a side of seaside sanctuary? Look no further than the several eateries on Old Fisherman&apos;s Wharf. 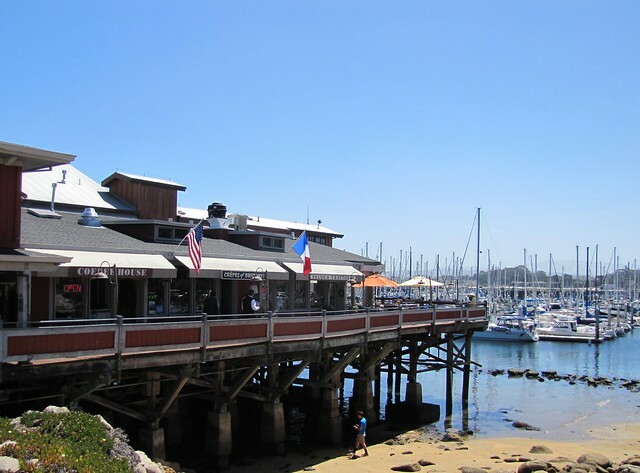 Here you will find icons like Old Fisherman&apos;s Grotto, Domenico&apos;s, Café Fina, Big Fish Grill and Crabby Jim&apos;s.
Every seat has an ocean view at Vizcaino Waterfront nestled on the top floor of Monterey Tides. The recently remodeled space is a touch more modern and private with a blend of beachy and rustic touches. This "window on the bay" is not only a treat for breakfast, lunch or dinner but its panoramic views of Monterey Bay are sure to leave you satisfied. Afterwards feel free to walk off that meal with a stroll just outside on Monterey State Beach. Dramatic views of Yankee Point and the Big Sur coastline sets the laid back tone at the California Market at Pacific&apos;s Edge. Located at Hyatt Carmel Highlands,California Market&apos;s causal approach to breakfast and lunch offers visitors the option to bask in the sunshine on their outdoor deck or soak in the views from their cozy interior. If you&apos;re looking to take it up a notch, book a dinner reservation and have a front row seat to nature&apos;s most spectacular sunset show where the extensive wine menu is just the icing on the cake! Almost every restaurant within the gates of Pebble Beach has unparalleled panoramas of pristine golf courses, upscale accommodations and the ocean; of course! At Spanish Bay feel free to soak in the sunset and the Asian fusion menu at Roy&apos;s at Pebble Beach or stick to American classics at STICKS. 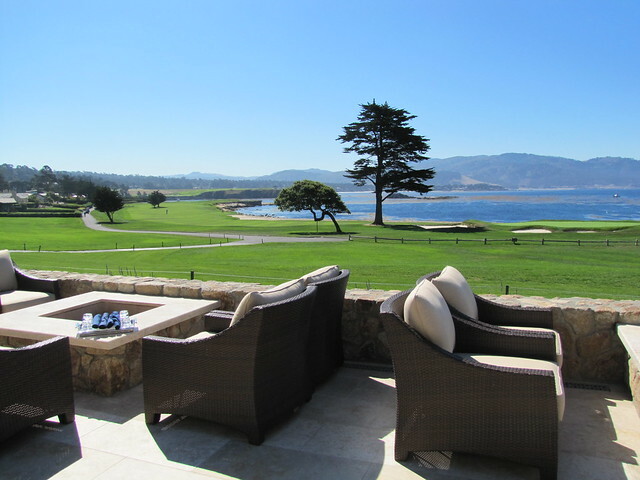 Meanwhile, The Bench and Stillwater Bar & Grill overlook the famous 18th hole at the Pebble Beach Golf Links. Rustic redwood charm meets untouched natural beauty at the The Sur House at Ventana Big Sur. If the encompassing views of the Big Sur coastline don&apos;t amaze you then the crafty and locally sourced menu creations from Chef Paul Corsentino are sure to please your palate. Seared duck breast, tuna crudo and apple cinnamon panna cotta are just few of the diverse menu items. If you&apos;re dining on the outdoor patio be on the lookout for a California condor or two. Rocky Point Restaurant is back open for business sharing their breathtaking coastline views alongside a jazzed up menu. Just 10 miles south of Carmel, this roadside restaurant is the perfect setting for a casual lunch, romantic dinner or a sunset cocktail on the outdoor patio; you might even spot a migrating whale in the distance! One of Carmel&apos;s only ocean view restaurants also happens to be owned by one of Carmel&apos;s famous residents. Former Carmel-by-the-Sea mayor, Clint Eastwood, takes pride in his ocean side gem and for good reason. The Restaurant at Mission Ranch is situated just above the Carmel Mission with views of Carmel Valley, Carmel River Beach and Point Lobos in the distance. It&apos;s top-notch American menu, piano bar and famous Sunday Brunch makes this a must when visiting the Monterey Peninsula.